What is one of the best parts of planning a party? The decorations! And the best decorations always include a can’t-pass-it-by photo wall. It is almost guaranteed that every party-goer who tries a photo booth will have a great time. As a bonus, you automatically capture fun moments from the party or event. Besides being a blast to use and a great way to make your party memorable, photo booths are easy to create on your own without much hassle or money. Read on to find all sorts of easy, unique photo backdrop ideas you can bring to life. Take a cue from nature and bring the outdoors in with a leaf wall. Whether you buy actual leaves from a florist, order some fake ones, or take them right from your backyard, this option adds an exciting jungle/tropical feel to your party. This makes an especially great idea for a safari themed birthday party or a tropical, sophisticated wedding. If you are looking to keep things simple, some venues may already have a photo backdrop set up. You just have to know what to look for. 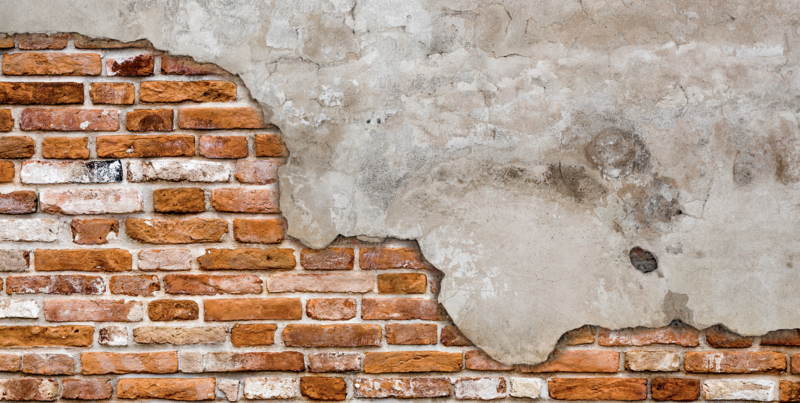 If your venue happens to have an exposed brick wall, this makes an ideal ready-to-go option that requires no preparation or work. To ensure the best photo, check to make sure your camera is set up far enough away to ensure everyone can easily fit in the frame without exposing any non-brick elements in the background. 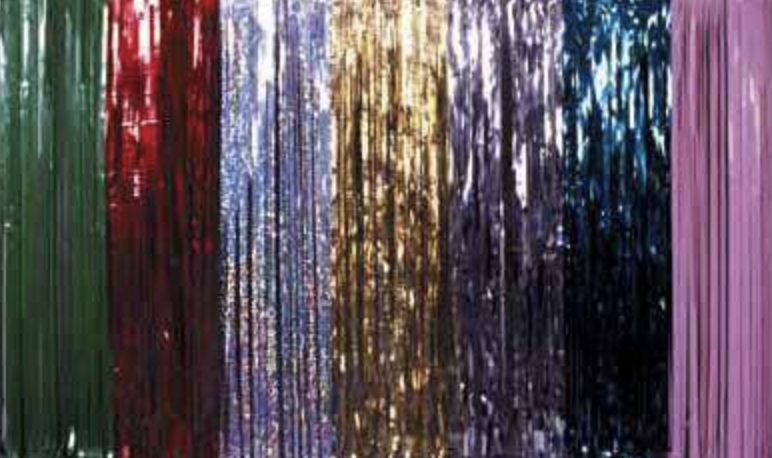 Also known as a tinsel curtain, these can be picked up from almost any party supply store. They are extremely affordable and come in a variety of colours. For best results, consider hanging it in front of a plain background, as this will show through a tiny amount. If you want to hide the background as much as possible, layer more than two or more mylar curtains. For a fringy effect, add short mylar curtain in tiers. 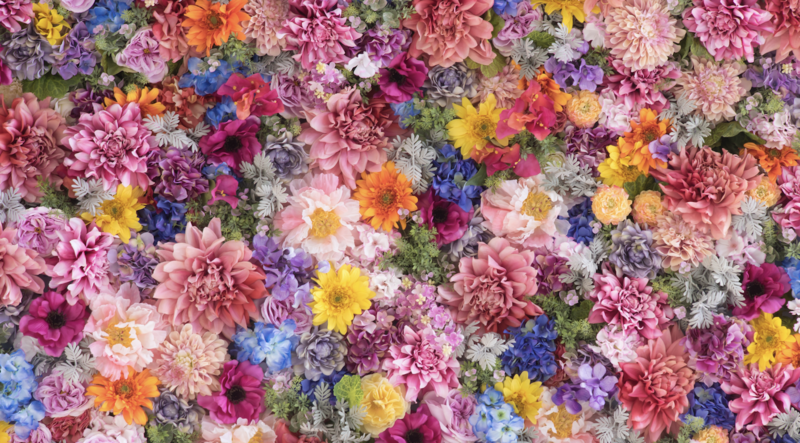 You cannot go wrong with flowers for a backdrop. 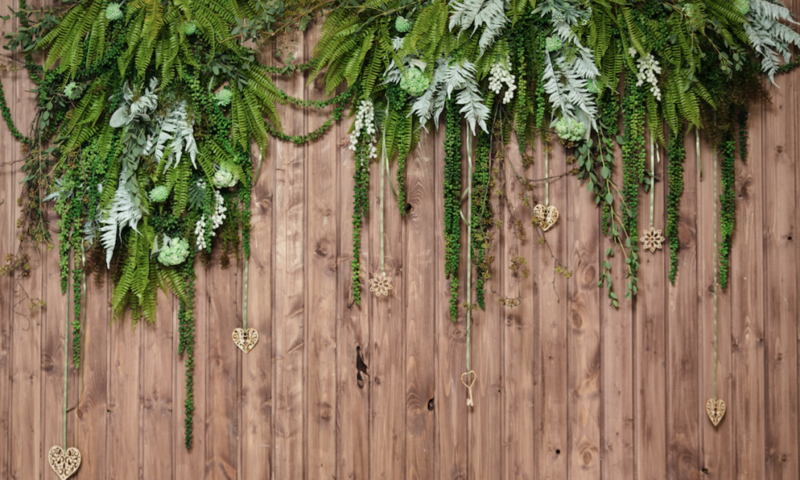 This backdrop is easy to arrange in a variety of ways based on the aesthetic you want to create. Choose from cascading blooms, tightly packed blossoms, loose blooms, or a framing arch of flowers. Fake or real flowers can be used, but be aware that real flowers should be set up on the day of the event to minimise wilting. Balloons practically scream “It’s time to party”! This affordable option comes together quickly and easily. Depending on the party, the balloons can easily be customised for the occasion. For example, a wall of blue or pink balloons is perfectly fitting for a baby shower. Engagement party? How about spelling out your name in mylar balloons. Birthday parties can feature the name of the person’s birthday, their favourite colours, a colourful ‘Happy Birthday’ – the options are endless and offer a great way to flex your creative muscles. What is a fast, easy way to perk up a plain white wall for a party? Balloon numbers. Party supply stores sell these in a variety of colours and sizes. All you need to do is choose your colour scheme and pattern and you are set! What is a cheap, easy, vibrant way to create your own photo backdrop? Paper chains! Perhaps you have even made these before as a child. This makes a great family project if your kids want to be involved. Choose any colour combination you want, grab a pair of scissors, and get snipping! If you have never made paper chains, consider watching this video for a tutorial. This backdrop is almost as fun to make as it is to take pictures in front of it. It makes an ideal option for kid and adult parties alike. Whether it is for a wedding, birthday party, or graduation party, Creating this interesting backdrop is just as much fun as taking pictures in front of it! It is perfect for birthday parties — kids and adults alike! — or for a whimsical wedding or graduation party. Turn on your favourite tv show and get ready for some hole punching fun! Use the circle punch to create confetti using the tissue paper. Once you have created your desired amount of confetti, lay out your poster board or butcher paper and spray it with adhesive. Next, carefully dump the confetti onto the background and gently pat it down. Once it dries, shake the paper to remove any loose confetti. Repeat this process until the backdrop is covered the way you like. Based on the lanterns you pick, the wall will take on an entirely different vibe. Christmas parties work perfectly with star-shaped lanterns or silver, and white lanterns can make an elegant addition to an engagement party. Few people can resist posing behind a goofy cardboard cutout. This easy DIY photo booth backdrop may not take much work, but it creates a significant impact. It works perfectly for any occasion – weddings, birthday parties, graduation parties, engagement parties, anything!